I am always late to the party, so it should come as no surprise that the first time I make a Flannel Friday post, I’ve got a story that Cate did at Storytiming back in 2011, Sharon did at Rain Makes Applesauce in 2012, and Bridget did just this past January. What can I say? It’s a good story! 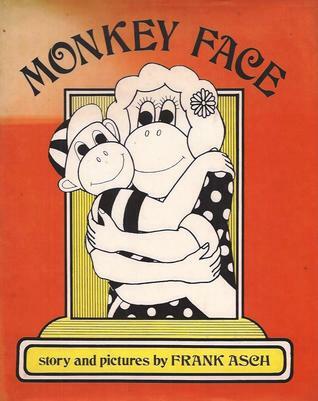 Monkey Face, by Frank Asch, was published in 1977 and is way out of print. My library system doesn’t have a copy at all. I’m pretty sure I first encountered the story as a whiteboard draw-and-tell. I’ve been meaning to flannelize it for a while, and since the theme for next Monday’s Storytime/Craft program is Wild Animals, it was a perfect fit. 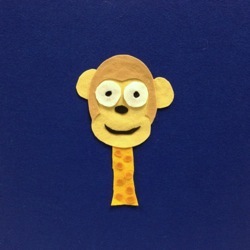 I started with the Bongo Monkey image from Ben’s Coloring Pages as a template for the original face, and then I cut the rest of the pieces without a pattern. Little Monkey drew a picture of his mother. He took it home from school to give it to her. He was so proud of his drawing. 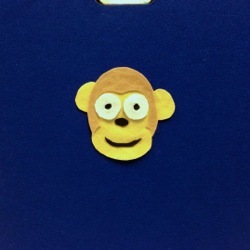 So, Little Monkey made the eyes a little larger. So, Little Monkey made the neck a little longer. So, Little Monkey made the teeth a little sharper. 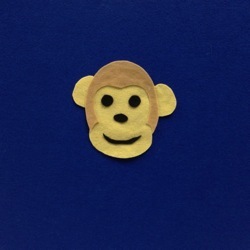 So, Little Monkey made the ears a little bigger. So, Little Monkey added a fluffy mane. So, Little Monkey made the nose bigger. Katie at Story Time Secrets has this week’s Flannel Friday Round-Up. Go and have a look at the fabulous posts! Also check out the Flannel Friday Facebook page and the Flannel Friday Pinterest boards. Ever since I saw the Reader’s Advisory Challenge for 2013 posted on Angelina41’s tumblr, I’ve been turning the idea over in my head. Reader’s Advisory is a tricky business, and those of us who’ve been around for a while can easily fall into the trap of recommending the same old books again and again. After all, Librarians can’t really spend our entire day reading (wouldn’t that be great, though? ), and it’s so easy to fall behind in terms of new releases. It’s even easier to fall behind in those genres you’re I’m not drawn to. And for Librarians brand-new to Youth Services (by choice or by chance), the sheer volume and variety of Children’s Literature can be… overwhelming. 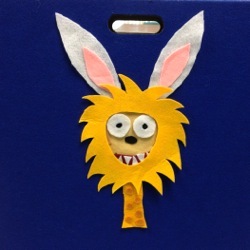 I fell into Children’s Librarianship after spending my two years of Library School focused on the techie side of things, planning to become a Systems Librarian. 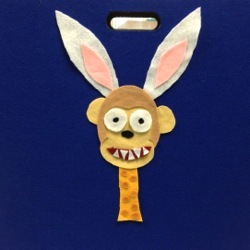 Instead, I discovered how much I love working with kids, and just how rich Children’s Literature is. In 2008, I moved into a position where I work with Children’s Librarians at 10 other branches in addition to my responsibilities at my own branch. Not long after, my very large public library system went through several years of staff shake-ups, with early retirements, lay-offs, transfers to fill the vacancies left behind, and re-hires. Working with some of these new-to-Children’s Librarians, I’ve heard their questions about how to get up to speed. I think something like the Reader’s Advisory Challenge is a great idea, and one that I can adapt into something that will work in a live group setting. The Children’s Librarians in my area already have a regularly scheduled meeting, and collection development is one of the topics we discuss. In 2013, I’m going to add a Booktalk Roundtable to our agenda, with a monthly theme for which each Librarian will pick a book to read before the meeting and booktalk to the group. We’ll all find out about new books, get to hear examples of booktalks, and practice our own booktalking skills. I’ll definitely be using some of the (sub-)genre’s from the original challenge, but some will be replaced. All books will be Children’s Books, which, for us, means written for kids roughly age 12 and younger. (There are some Newbery winners that we consider YA, so those would be exceptions for January.) Want to read along with us? I’ll post my reviews here, and I’d love to hear some suggestions of titles for the different themes! Since I get so much inspiration for storytimes from other blogs, I’d thought I’d start posting my own here. I like to do themes for my Baby Storytimes (as well as my regular ones). The themes really just tie the books together, along with maybe a fingerplay or two. Most of the rhymes and songs are repeated every week, regardless of the theme. Why eggs? Because September is National Chicken Month, of course. Our monthly Family Storytime will feature some chicken stories, so it seemed only fitting to have at least one Baby Storytime focus on eggs. This is my right hand, I hold it up high. This is my left hand, I touch the sky. Right hand, left hand, roll ’em around. Left hand, right hand, pound, pound, pound! We go through this one twice. In our version, the last line on the first time through is, “This is the way the cowboys ride!” and on the second time through, it’s the cowgirls’ turn. Leave a comment on Pirates! My friend Carey is over at the ALSC blog today, talking about having a Pirate Party at her library. Check out her post for books, craft ideas, and activities for a pirate party of your own! When I was a newer Librarian than I am now, an upset parent demanded to know if I had children, insisting that if I did, I would see things differently (i.e., as she did). 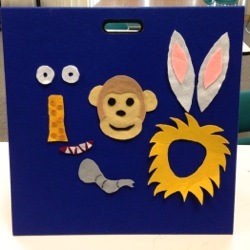 Since I became a Mom four and a half years ago, I do find myself thinking a lot about how my feelings as a parent and my feelings as a Library Professional serving children mesh. And I’ve found that I remain just as dedicated to children’s intellectual freedom as ever. I also remain convinced that parents can and should be aware of what their children are reading and be prepared to discuss it with them. So, naturally, I loved Knitmore Girl Jasmin’s blog entry today about her mom’s attitude toward the reading choices Jasmin and her little brother made as kids. Gigi is so my role model as a mom. In 10 years or so, I hope I’m the kind of mom who can have a calm talk with Lil Miss about whatever she’s reading. More to the point, I hope I’m the kind of mom Lil Miss will want to talk to about what she’s reading. If Not “Reluctant”, Then What? 3 Comments on If Not “Reluctant”, Then What? I would like to throw out a question. Somewhere I read a different term for “reluctant reader.” It was a more positive term. I can’t seem to remember it and am looking for any ideas. Of course, resistance to individual titles or authors isn’t really what we’re talking about when we talk about “reluctant readers”. We’re talking about those kids who just don’t want to read anything. And if we want to help those kids find the right books to pique their interest, it might help to approach the whole thing a bit more positively. So, here’s my problem: I don’t have an answer for Lauri. I’m hoping maybe one of you will. If you have a more positive term, please, share it in the comments! What knitter hasn’t had the sad experience of working for hours on a gift item, only to discover that the recipient doesn’t like it, never wears it, or hid or gave it away? I like to call it UGGS: Unappreciated Gift Giver Syndrome, and I still avoid it by mostly knitting just for me. But UGGS also rears its ugly head in fiction, so here are three picture books about knitters looking for a little appreciation. As an added bonus, they all happen to be animals. 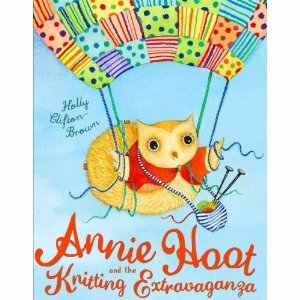 Annie Hoot and the Knitting Extravaganza by Holly Clifton-Brown. Published in the UK and Australia before hitting the States, this book stars a sweet if slightly dim owl who loves to knit. Unfortunately, her strigine friends refuse to wear the brightly colored clothes she creates. So, she travels around the world (in various partially-knitted forms of transport) in search of some happy knitwear recipients. She tries the rain forest, the African plains, and the Arctic before getting a bit homesick (and running out of yarn). When she gets back home, she discovers that the other owls have come to appreciate her and her gifts. The storytelling is a little clunky, but the watercolor illustrations are adorable, even if it does look like Annie is knitting with two very large iron nails in a rather peculiar style. (It’s probably very hard to knit with wings.) I take issue with the depiction of penguins frolicking with polar bears up in the Arctic – it’s a pet peeve of mine – but they’re so darn cute! In this rhymed-text import from Australia, Derek is a little green dinosaur with a problem. His brothers, Fang and Fearless, are big, fierce, scary dinosaurs who roar and stomp and fight while Derek just likes to sit inside, knitting and chatting with his friend Montmorency (a cute but quite toothy spotted mouse). Fang and Fearless aren’t all that bothered by Derek’s homebody ways, but he seems to worry that he should be more like them. When the weather suddenly turns colder, Derek’s brothers come to him for the one thing they can’t scare up: some warm clothes. The book closes with Fang and Montmorency agreeing what a good thing it is that “dear little Derek / would rather just sit, / and go / knittety / knittety / knittety / knit!” And Derek himself seems to be pleased enough to have finally found his place. Blackwood conveys an important message about appreciation of differences without being didactic, and Argent’s illustrations are charming. They also add some additional humor; there’s just something about the knitted underpants that makes me giggle. 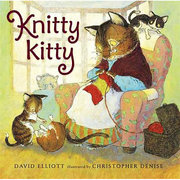 Knitty Kitty, by David Elliott, illustrated by Christopher Denise. “Clickety-click. / Tickety-tick.” A grandmotherly cat, complete with half-glasses perched on her nose and a cozy red shawl, sits in an armchair by the fire, knitting up a hat, a scarf, and mittens for three little kittens to wear while playing outside. They’re warm and cozy during the day, but having dressed their snowman in the knitwear, they find themselves chilly and uncomfortable in their sleeping basket at bedtime. Knitty Kitty, of course, has a solution; she curls up along with them in the basket. Denise’s acrylic and ink-on-paper illustrations depict a quaint little country cottage. While Knitty Kitty herself is very human-like, the kittens definitely act like kittens. They pounce on tails, wrestle with the mittens, and poke curiously at a stray ball of yarn. It’s easy to feel the energy of the three little kittens contrasted with the cozy room. A lovely twist on the Three Little Kittens nursery rhyme, this would be a good choice for a bedtime story. 1 Comment on Are You Listening? I’m catching up on a backlog of entries in my Google Reader subscriptions, so it was only today that I read Susan Norwood’s guest blog (from November 21st) at Practically Paradise. “If I had the money,” she begins, “the first thing I would buy for my library is audio books.” Since I review audio books for School Library Journal, and I buy them (as well as other children’s materials) for my own library, this naturally caught my attention. She goes on to describe how much the kids in her middle school classroom enjoy listening to books read aloud. With Playaways and CDs, students get to choose the books that appeal to them individually. They are connecting with books even when they’re feeling bored and sick of school at the end of the day. Kids are sharing sets of ear buds so that two people can listen to a story they both enjoy at the same time. 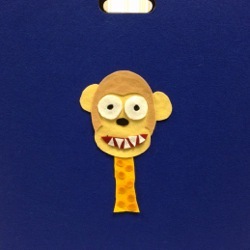 This brings us to the major issue Susan faces in using audio books in the classroom. “My biggest problem is availability,” she writes. She has been checking out materials from the local public library on her personal card. She has “invested in rechargeable batteries, a recharger, and some inexpensive headphones.” She has taken note of which books are popular, and which format the kids prefer (Playaways over CDs, for reasons she explains). But she can only do so much. Audio books are expensive. The people who make the purchasing decisions are unlikely to have had the time and/or opportunity to listen to audio books, and so they must buy based on reviews. Budgets for audio materials are likely to be small (and getting smaller all the time, thanks to budget cuts), yet an audio version of a title can cost twice as much as its (hardcover) print counterpart. Susan mentions the Goosebumps books as favorites of her students. The Playaway version of R.L. Stine’s Goosebumps HorrorLand: Creep from the Deep costs $34.99. The Library Edition CD costs $29.95. The hardcover is $14.85. The mass market paperback retails for $5.99. You do the math. And so, when you take a look at your local library’s audio book selection, you might not find much there. I don’t believe that it’s just financial concerns that keep the library shelf selection of audio books small. There is a perception out there that reading from the printed page is the only kind of reading that counts. (This is a perennial discussion when it comes time for Summer Reading logs.) Susan writes near the end of her entry, “My next door teacher-neighbor has a quote that goes something like this, ‘Readers are made on the laps of their parents.’ Not all of our kids have parents who read. Not all of our kids have parents who speak, let alone read, English.” For these kids, especially, audio books may be a lifeline to literacy. Anyone who has spent time in a classroom knows how much kids enjoy being read to, even those who have become far too cool in their advanced age (of 10 or 11) to admit it. I’ve seen it in family storytimes, when older siblings and cousins often accompany the little ones. Why wouldn’t you want a kid to be able to take that pleasure home? 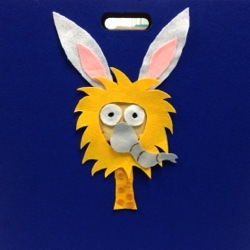 In my small role buying materials for one neighborhood public library branch, I’ve been working to build up our audio book collection – from those chapter books on CD down to those picture-book-plus-CD sets. If you have the chance, won’t you help your local public or school library? Playaway books are available for purchase on the Playaway site (though you may want to make sure your particular library is able to circulate them), and books on CD are available pretty much anywhere books are sold. Or just make your voice heard: let the decision-makers in your community know that books are important, and audio books are important, too. Make sure they’re listening. 15 Comments on Reading Challenge! I haven’t tried doing a reading challenge over here yet, but I just can’t resist The Story Siren. (Heh. See what I did there?) This particular challenge is all about reading debut Middle Grade/Young Adult novels. The idea is to read and review at least 12 titles in 2011. While I read children’s books by many different authors, I can get in a bit of a rut when it comes to YA. I’m looking forward to encountering some fabulous new authors. Watch this space (or my GoodReads profile) for the reviews. And thanks to Kristi for putting this together!